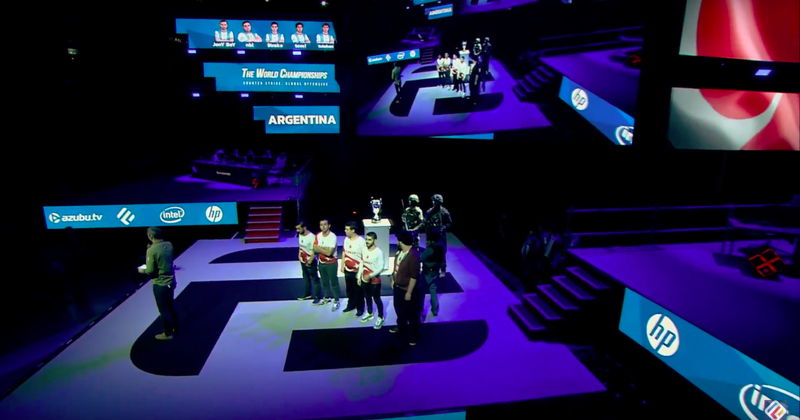 On October 9, 2016, Team Argentina placed second in the Counter-Strike: Global Offensive World Championships, winning $20,000. But months later, they still haven’t seen the money, and other teams who competed and won prizes say they haven’t been paid either. “The CS:GO Argentinian Team didn’t receive their payments yet, and we also never received our payments to work in the Spanish/Portuguese streaming channels,” Team Argentina’s captain, Martin Biolchi, told Compete. Team Denmark, one of the teams in the shared third-fourth place, is reportedly waiting on their prize money as well. In late June of this year, Team Denmark player Casper “Cadian” Møller tweeted that he and his team still hadn’t received their winnings. Møller did not respond to a request for comment, nor did the Turkey and France teams, which placed first and third. The competition’s $100,000 prize pool designated half its pool for the first place winners, $20,000 for second place, $10,000 for the third and fourth place teams, and $2,500 for the teams in 5th–8th place. E-Frag, the organizers of the CS:GO World Championships, copped to the problem in a Twitlonger post in June about the sponsor for the tournament, a live-streaming esports site called Azubu. The company, founded in 2011, launched the same year that Justin.tv rebranded as Twitch, although Azubu has yet to match Twitch’s acclaim. Azubu recently acquired another video streaming site called Hitbox and now conducts business under the name Smashcast.TV. According to E-Frag’s Twitter post, the winnings were “signed contractually to be paid by Azubu at the immediate end of the event,” but the sponsor has yet to pay out. E-Frag notes in the post that if Azubu does not provide the funds, E-Frag “will pay the pool through our own funds regardless,” but did not specify a timeline. When asked about the status of the prize winnings, E-Frag told Compete: “We’re in the process of arbitration in the arbitration courts with Azubu. We’ve hired Faegre Baker Daniels who are doing the case for us.” Faegre Baker Daniels did not respond to repeated requests for comment. E-Frag is not the only tournament organizer claiming to still be waiting on a check from Azubu. The Dota 2 Game On invitational tournament series, which had a much smaller prize pool of $2,000, still has outstanding debts from Azubu, according to the winners. The tournament took place around the same time period as the CS:GO World Championships, ending on October 7, 2016. In early 2017, Deutschmann said he finally heard back from Kevin Jordan, Azubu’s Global Director of Partners and Monetization, who promised the money would arrive “soon.” (Jordan did not respond to a request for comment.) But “soon” turned out to be “later,” and reports about Azubu’s financial standing grew increasingly dire. “I would be surprised if Azubu has not sufficient funds to pay its obligations,” Windhorst continued. “Azubu has recently received substantial funding.” Windhorst did not provide any clarification about the nature of this funding. Ian Sharpe, who served as CEO before McGarvey and during the time these deals were made, told Compete: “My executive team and I ran Azubu for three years, striving to set the goals delivered to us by the investors. We met those objectives despite a constant and serious lack of funding. The deals that we signed at the time we did in good faith, believing that we had significant investment from those investors. That turned out not to be true. Hence, the executive team decided to move on to other opportunities.” Sharpe left the company in August 2016. Mike McGarvey began working for Azubu in May 2016 according to the Los Angeles Times. He took on the CEO role after Sharpe’s departure. McGarvey refused to “disclose specifics” about Azubu’s current funding sources, but did confirm that Lars Windhorst’s investment company Sapinda Group is not the only investor funding the company at this time.